Pablo Solon on ‘Vivir Bien’: Going beyond capitalism? September 30, 2016 -- Links International Journal of Socialist Renewal reposted from Life on the Left -- In his balance sheet of Bolivia’s “process of change,” Bolivian intellectual and activist Pablo Solón advanced some proposals for a new course inspired by the ideas of Vivir Bien, a philosophy associated with the indigenous peoples of the Andean countries of South America. Vivir Bien, roughly translated as “living well,” is incorporated as a guiding principle of the state in the new constitutions of Ecuador and Bolivia. September 8, 2016 — Links International Journal of Socialist Renewal reposted from Life on the Left with permission — The global drop in commodity prices has been detrimental to the development strategy of many Latin American governments, some of which had used the new income from increased exports of largely unprocessed resources, accompanied by higher royalties and taxes, during the last decade to reduce poverty levels and reinforce and institute new social programs, while attempting to create new industries oriented to the domestic market or adding value to their exports. August 31, 2016 — Links International Journal of Socialist Renewal originally published in Spanish at Nueva Sociedad — The conflict between the Bolivian government and cooperative miners is new not in terms of its dynamic, but in terms of its scale: the brutal death of a vice-minister, beaten after being kidnapped, has cause a commotion in a country accustomed to radical social protests. Moreover, the crime has put in doubt the advances made towards creating a “strong state”, Evo Morales goal since 2006: not even during the 2003 Gas War, which brought down the Gonzalo Sanchez de Lozada government, has a similar type of aggression occurred against such a high level functionary. March 17, 2016 -- Links International Journal of Socialist Renewal translated from La Razon by Sean Seymour-Jones -- Let’s start with the positives. On February 21, rural voters stood firm in their support for [Bolivian president] Evo Morales. I’m talking about the rural communities of La Paz, Oruro, Cochabamba, Chuquisaca and Potosí, as well as the bastions of San Julián and Yapacaní in Santa Cruz, and various provinces in Pando, Beni and Tarija. 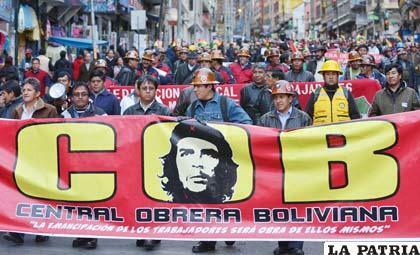 The Yes vote also triumphed overwhelmingly in Huanuni, Colquiri and San Cristóbal, home of the strongest miners unions. The vote of factory and construction workers, the largest proletarian components of the COB [Bolivian Workers Central], was felt in the working class neighbourhoods of La Paz, in the most populated districts of El Alto, as well as in Vinto, Quillacollo in the plebian zone in the south of the city of Cochabamba, and in the barrios and in Plan Tres Mil in the city of Santa Cruz. The vote of other urban neighbourhood sectors was particularly important in El Alto, La Paz, Cochabamba and Oruro. In other word, the indigenous-working class-popular base of the process of change continues to back Evo, as this was the main class composition of the support received. Voting in Bolivia’s elections, March 29, 2015. For more on Bolivia, click HERE. April 6, 2015 -- Life on the Left, posted at Links International Journal of Socialist Renewal with permission -- Up to 90% of the electorate voted in Bolivia’s “subnational” elections March 29 for governors, mayors and departmental assembly and municipal council members throughout the country. These were the second such elections to be held since the new constitution came into force in 2009, the first being in 2010. Oktober 20, 2014 -- Einartysken -- Die Vorhersagen der Umfragen und Kommentatoren, dass Evo Morales die Präsidentenwahl am 12.Oktober lässig gewinnen wird, bestätigten sich, als er 60 % der Stimmen erhielt. Die meisten Leute sind jedoch verschiedener Meinung, warum die 'Bewegung Richtung Sozialismus (MAS)' von Morales nach fast 10 Jahren an der Macht immer noch so hohe Unterstützung genießt. Ihre Erklärungen neigen dazu, sich auf spezifische oder politische Faktoren zu konzentrieren, wie die gestiegenen Rohstoffpreise oder die Fähigkeit der MAS, die sozialen Bewegungen des Landes zu kontrollieren oder zu kooptieren. Um jedoch zu verstehen, warum Morales bald der am längsten an der Macht stehende Präsident in einem Land ist, das für seine Staatsstreiche und Rebellionen berühmt ist, ist es notwendig, die tiefgreifenden Veränderungen unter seiner Präsidentschaft zur Kenntnis zu nehmen. Evo Morales addresses supporters in La Paz on election night. In foreground is David Choquehuenca, Bolivia’s foreign minister. October 19, 2014 -- Life on the Left, posted at Links International Journal of Socialist Renewal with permission -- As expected, Evo Morales and his Movement Toward Socialism (MAS) government won a resounding victory in Bolivia’s national presidential and parliamentary election October 12. Although official results will not be available until November (more on that below), the MAS was re-elected with just over 61% of the popular vote, three percentage points less than in 2009 and short of the 74% support the MAS had proclaimed as its goal. However, the MAS vote was more evenly spread throughout the country; it won a plurality in eight of Bolivia’s nine departments, including three of the four that make up the so-called “half-moon” in the country’s east and north, which in 2008 were in open revolt against the indigenous-led government. October 20, 2014 -- TeleSUR English, posted at Links International Journal of Socialist Renewal with the author's permission -- The failure of opposition forces and critics to recognise or accept that a political revolution that has taken place explains why they are so far out of touch with the majority of Bolivian society. Predictions by pollsters and commentators that Evo Morales would easily win Bolivia’s October 12 presidential elections were confirmed when the incumbent obtained over 60% of the vote. Most however differ over why, after almost a decade in power, Morales’ Movement Towards Socialism (MAS) continues to command such a huge level of support. Their explanations tend to focus on specific economic or political factors, such as booming raw material prices or the MAS’ ability to control and co-opt the country’s social movements. However, to understand why Morales will soon become the longest-serving head of state in a country renowned for its history of coups and rebellions, it is necessary to start with an acknowledgement of the profound changes that Bolivia is undergoing under his presidency. A women in Bolivia views a melting glacier's water. October 6, 2014 -- Life on the Left, posted at Links International Journal of Socialist Renewal with the author's permission -- Bolivia goes to the polls on Sunday, October 12, in the country’s third national election since the victory of Evo Morales and his Movement Toward Socialism (MAS) in December 2005 and the second since the adoption of its radically new constitution in 2009. The MAS list, led by President Morales and his vice-presidential running mate Álvaro García Linera, is far ahead in the opinion polling over four opposition slates, all to the right of the MAS. 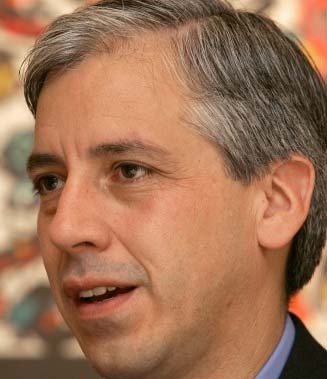 Although Bolivia’s “process of change”, its “democratic and cultural revolution” as García Linera terms it, is still in its early stages, the country’s developmental process has already attracted considerable interest — and some controversy — internationally, not least because of its government’s role as a leading critic of global climate change, which it forthrightly attributes to the effects and the logic inherent to the capitalist mode of production. 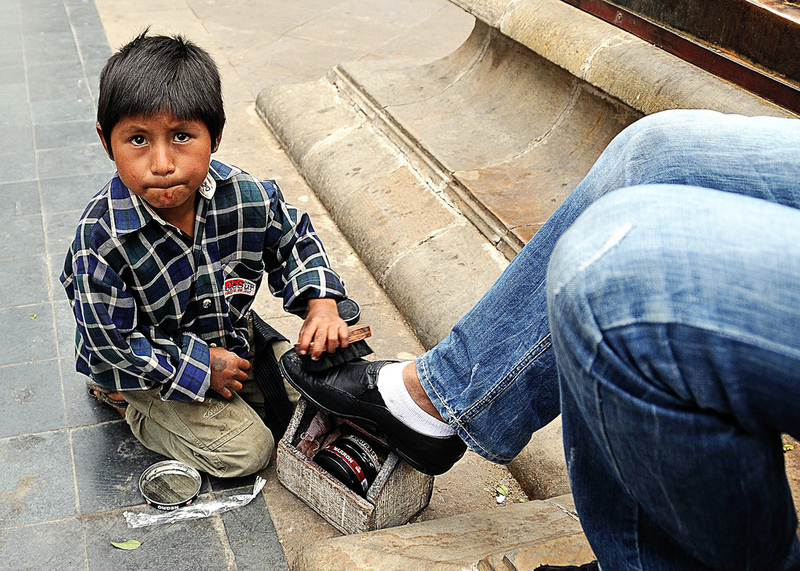 Bolivia's controversial new child labour law allows children under the age of 14 to work, but only in “exceptional circumstances”. 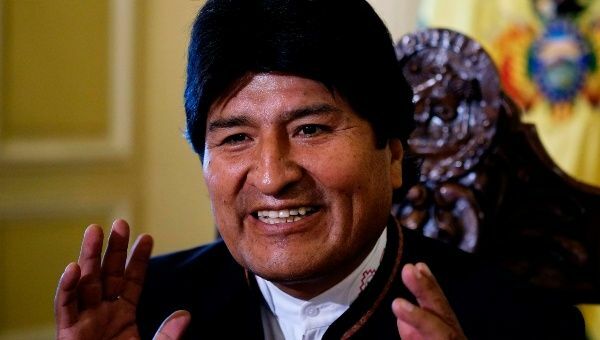 July 30, 2014 -- Bolivia Rising, an earlier version of this article was first published on the new teleSUR English website; it is posted at Links International Journal of Socialist Renewal with the author's permission -- When Evo Morales was elected president of Bolivia in 2005, he promised to “govern by obeying the people”. The recent approval by the Plurinational Assembly of laws dealing with mining and children’s rights are two examples of the challenges and benefits of this radical approach to governing. Breaking with the conception that legislating should be confined to the four walls of parliament, the Bolivian government has made repeated efforts to involve broad sections of society in rewriting the rules of the country. The first, and most important, step taken in this regard was the convocation of a constituent assembly in which elected delegates, together with representatives of the country’s powerful social movements and other civil society groups, drew up a new constitution. Evo Morales, President of Bolivia, gave this remarkable opening talk at the summit of the Group of 77 plus China, meeting in Santa Clara, Bolivia, on June 14, 2014. October 10, 2013 -- Life of the Left, posted at Links International Journal of Socialist Renewal with permission − On October 7, Bolivia's President Evo Morales issued a government decree that allows workers to establish “social enterprises” in businesses that are bankrupt, winding up, unjustifiably closed or abandoned. These enterprises, while private, will be operated by the workers and qualify for government assistance. in defense of their workplaces and protection of the social interest may, in accordance with the law, reactivate and reorganize firms that are undergoing bankrupty, creditor proceedings or liquidation, or closed or abandoned without justification, and may form communitarian or social enterprises. The state will contribute to the action of the workers. Bolivia: Why is Evo Morales still so popular? President Evo Morales (right) and vice-president Álvaro García Linera. July 14, 2013 -- Life on the Left, posted at Links International Journal of Socialist Renewal with permission -- Bolivia’s achievements in recent years have inspired interest and solidarity among many on the left outside that country, and not just in Latin America. Conversely, the government of Evo Morales and his Movement Toward Socialism (MAS) has produced corresponding hostility from Washington and its allies. But some of the harshest criticism has also come from some left critics, including a few foreign academics and Bolivia-based NGO activists. Readers of their accounts might wonder how it is that the Morales government still gets the popular support it clearly does in Bolivia. May 28, 2013 -- Bolivia Rising, posted at Links International Journal of Socialist Renewal with the author's permission -- Bolivia is demonstrating to the world why nationalising natural resources is a crucial first step for any government seeking to put people and the environment before profits. On May 1, 2006, less than four months after becoming president, Evo Morales decreed the nationalisation of the country’s gas reserves. This move restored state control over the strategic resource. In doing so, Morales followed through with one of his key election promises and met a historic demand of the Bolivian people. The people had overthrown successive presidents unwilling to take Bolivia’s gas out of the hands of greedy transnationals. December 18, 2012 -- La Epoca (Spanish) via Bolivia Rising, posted at Links International Journal of Socialist Renewal with permission -- 2012 has been a year of transition for the process of change in the Plurinational State of Bolivia, notwithstanding the many events, problems and contradictions encountered by the executive branch during the last 12 months of its administration. A year of transition because we have left behind the 2010-2011 biennial of consolidation following the 64% victory of President Evo Morales in the December 2009 election and are now entering a new biennial, 2013-2014, which will take us very rapidly to the presidential elections of December 2014. Debate: Neoliberalism in disguise in Bolivia? 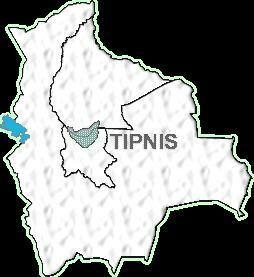 Location of the indigenous territory and national park known as TIPNIS. The following article is a reply to Jeffery Webber's article, “Revolution against ‘Progress’: the TIPNIS Struggle and Class Contradictions in Bolivia”, in International Socialism 133 (winter), www.isj.org.uk/?id=780. It is posted at Links International Journal of Socialist Renewal with the author's permission. It first appeared in International Socialism (134). International Socialism is associated with the British Socialist Workers' Party. March 27, 2012 -- International Socialism -- For more than a decade Bolivia has been rocked by mass upsurges and mobilisations that have posed the necessity and possibility of fundamental political and social transformation.1 In 2005 the social movements that led the country’s water and gas wars managed to elect a government that since then has presided over a process of change that has brought major advances. February 19, 2012 -- First published in Axis of Logic, posted at Links International Journal of Socialist Renewal with permission -- Bolivia’s vice-president Álvaro García Linera brought a message of hope and anti-imperialist commitment to Mexico in the first week of February. Speaking to an overflow assembly of students and university personnel at Mexico City’s UNAM (National Autonomous University), he said that the government led by President Evo Morales welcomes social-movement protests and conflict. The more, the better. The struggle is our nourishment, our peace. It does not overwhelm us. Absolute calm frightens us. Our opponents believe the struggle will wear us down. On the contrary, it nourishes us. 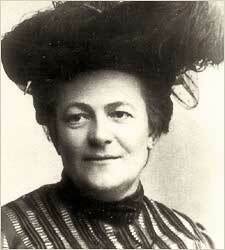 September 18, 2011 -- First posted at johnriddell.wordpress.com, it appears at Links International Journal of Socialist Renewal with permission -- Is Bolivia “a case of a workers’ government in the sense the early Comintern/Clara Zetkin meant it?” The question comes from Pham Binh in a comment at johnriddell.wordpress.com. In my view, the “workers’ government” concept is certainly relevant but must be used with caution.